You'll learn drills to help athletes maintain control of the ball while maneuvering, change direction when receiving passes, master a roll-out when engaged with a defender, and more! You'll also see exercises to develop your transition game. Included are drills to build the attack using 2v1 tactical concepts, as well as games to open up the depth and width of the field to create space for greater attack opportunities. The Drag Flick has become a more potent scoring weapon on penalty corners because of the possible options from the drag. The best drag flickers are deceptive and can actually place the ball in all four corners of the goal, which is difficult for the goalkeeper to save. Coach Ole Keusgen breaks down the steps to execute a drag flick. Hand placement on the stick for a powerful snap and the correct three step approach and follow-through when drag flicking for more control are covered. Coach Keusgen shows multiple drills on how to go from basic one shot saves to multi-shot saves while incorporating stick saves and board and rebound training. 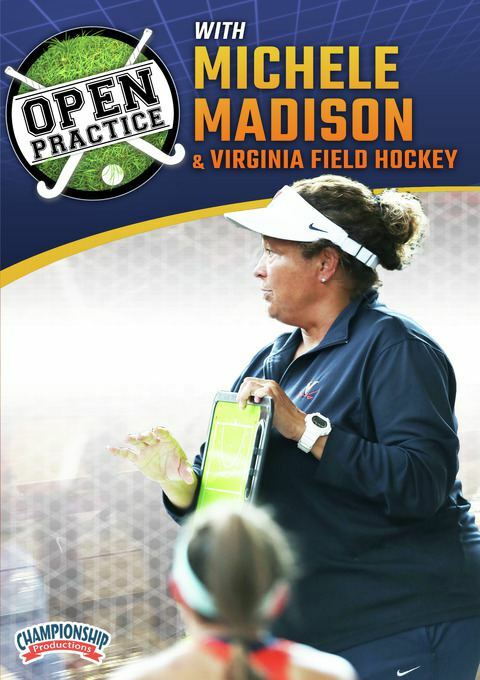 All drills showcase game-like scenarios that will help prepare your goalie for the unpredictable game of field hockey. This `Open Practice' video will provide you with drills and techniques that you can implement immediately to improve your team!